So last week, in honour of Valentine’s Day, I challenged you to Spread the Love. The truth is, it felt great. 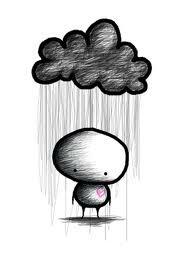 Sometimes, we’re tired, cranky or just plain fed up with the rain, and we go around with a little black cloud over our heads. We may honk or be unfriendly without really giving it much thought, we’re in our heads, inside our bad mood. Have you ever considered that how you act towards others is Passed Forward? Think of it as hurling a negativity smoke bomb at someone, they receive it and hurl it at someone else and so on. What would YOU would like to Pass Forward? You may actually find that you can pull yourself out from under that dark cloud by Spreading the Love. In honour of Valentine’s Day, I invite you to go out and spread the love today. Let’s infuse love into the small mundane things we do today. Let’s let love radiate from us, and see what happens. Wake up in the morning and greet those around you with a hug, a kiss or a warm & loving word. Hold the door open for someone today. Be patient when you drive, don’t let anything get to you. Wave a thanks to those that let you in. Be friendly to every bank teller, cashier and receptionist you come into contact with today. Think of someone that may be feeling lonely today and give them a call, invite them out for a walk, a coffee, lunch, dinner, a movie…, if not for today make a plan for another day. Say thank you to someone you appreciate. Focus on the positive today, avoid negativity – in your thoughts and out loud. Don’t listen or watch the news today. Look for ways be of service to others. Off you go little cupids! When the day is done, reflect, and tomorrow, let me know how it felt.